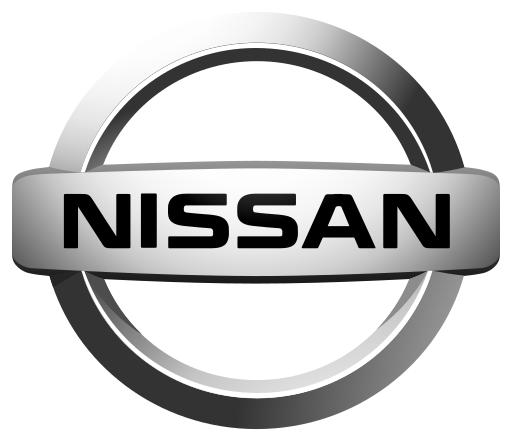 The company of Nissan has been in business since the year 1933. Their business and products have changed throughout the 84 years of their existence but they always seemed to make the right moves to keep their business and company alive and well. Presently, they are one of Japan’s stop multinational automobile manufacturers and it sells its products through their brand lines like Nissan, Infiniti, and Datsun. There are many exciting things coming Nissan's way as in January of 2018, Nissan’s CEO announced that all Infiniti vehicles, which is Nissan’s brand line for the luxury division of the automobile industry, will be either hybrid vehicles or all-electric by 2021 but until then, you should know just how far their car models and services have gone as of late. Commuting in Japan is easy because almost every place is connected via a mode of transportation. There are subways, buses, and trains that you can take to get around easily and if that isn’t enough, you can also opt to use a taxi. If those options still don’t satisfy what you are looking for in your preferred mode of travel during your time in Japan, you can also opt to make use of Nissan’s “Rent a Car” service. As its name suggests, you get to rent a car for a certain amount of time and you can even pick which car you prefer to rent so that it’s flexible to how many people you might be traveling with. Before getting into the details of how to go about the renting process, you should first know that there are some perks to availing this service. Most travels guides will tell you that the trains and buses are enough to go to any attraction in Japan. This is usually true but it is also true that some people are soothed by long drives. Considering the well-constructed roads in Japan and the breathtaking views of both the cities and of nature that you can easily encounter, it becomes a very attractive place to drive around in at your own pace. With this said, you might become clear why some people even avail of such a service despite the added cost of doing so. To start with the process of renting a car, you will just need to give details like your name, contact number, pickup date and time, return date and time, pickup location, return location, vehicle class, and the number of passengers. If you have special needs like children’s seats in the car you are renting, this would be the time to tell them about it so that they can match what they have with what you need. This registration part can be done online through their website or through Nissan's hotlines and reservation centers. These centers are open from 8 AM to 8 PM and on weekends and holidays, its operating hours change to 9 AM to 6 PM. Upon picking up the vehicle to be rented, you should prepare the driver’s license of all the people that will be driving the car as well as your passports. There might also be a need to get an ETC card which can be retrieved in outlets offering this ETC card rental. These are all necessary to properly document the transaction of the renting and to ensure that those handling the car are truly qualified to do so. You will go to the pickup location that you put during registration and then a staff member will assist you by teaching you how to use the car you are to rent as well as to check for existing damages on the car so that none of these existing damages, if any, are charged to you upon the return of the vehicle. You’ll get the vehicle with a full tank of gas and upon the returning of the rental, you should remember to have it refueled back to full. Payment for additional damages to the rental upon return can cause quite a headache so it would be wise to drive safe and stay out of harms warm to save yourself the time, money, and effort of fixing something that can be avoided. Nissan has developed many beautiful designs over the years but not all got as much attention as the Nissan GT-R. It is a 2-door coupe style car that falls under the class of sports car as well as a grand tourer, which is a term used to describe a car that focuses on both performance and luxury. A grand tourer is should be able to become a safe haven on long-distance drives for both driver and passenger and the Nissan GT-R materialized this description perfectly. It started production in the December of 2007 and it has been in high production since that time. The latest model of this car makes use of a 3.8 L VR38DETT twin-turbo V6 engine that creates a power output of 419 kW or 570 PS. Nissan also worked with NISMO to create a GT-R that had a power output of 441 kW and 590 HP and it was an extraordinary piece of work. Naturally, this type of car would have a 6-speed dual clutch automatic transmission which makes driving it so fun because the moment you get some free space, you can use all that power and speed to reach speeds that can get as fast as 315 km/h or 196 mph. The latest version of this car also offers this thing called the “R-Mode Start” and, to put it simply, it allows the car to accelerate at an incredibly faster speed but only for 4 consecutive times. Once all attempts are used up, the system would automatically lock this function. It can only be unlocked after driving normally for around 1.5 miles. In addition to this, this car actually holds the record for being one of the fastest hand-built cars to lap the proving grounds of a circuit known as the Nurburgring Nordschleife circuit. With all this said, it is no wonder why this particular Nissan model gets as much attention as it does in the market. Through the GT-R, Nissan’s skill in grand tourers was established. Through the Nissan Leaf, Nissan’s innovativeness was forever etched in the automobile industry history books because, with this model, they were able to bring the entire automobile industry closer to a fuel-free future. 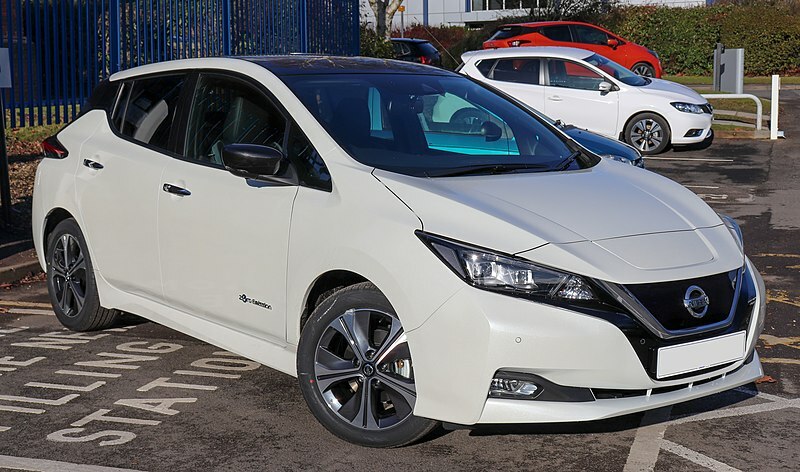 The Nissan Leaf first started production in the year of 2010 and this electric motor powered compact five-door hatchback car has been in production since. When it was released in 2010, it was only to Japan and the US but by 2011, European countries, as well as Canada, would also get their chance to get these sick rides. If you care about the environment, there is a huge chance that you already know about the Nissan Leaf. This car emits no toxins because it purely runs on electricity. The issue about these types of cars has always been the distance that they can go because once you’re out of power, you practically stranded. Luckily, with the pioneering engineering of Nissan, they were able to invent a 30 kWh battery that can get their Nissan Leaf to travel a total of 172 kilometers (km) or 107 miles. They complimented the battery capacity with the ability to charge fast enough to get from zero percent energy to roughly around 80 percent energy in a jaw-dropping 30 minutes. That’s a perfect amount of time to leave your Nissan Leaf at a charging station while you stretch out and grab a snack with your buddies during a long ride. This car naturally won several awards for the things that it was able to achieve. Being a car that has no need for petroleum will really catch the attention of the world and with this attention, the Nissan Leaf easily won awards like the 2010 Green Car Vision Award, the 2011 European Car of the Year, the 2011 and the 2012 Japanese Car of the Year, and the 2011 World Car of the Year. Driving this electric car is also just like driving a regular one. The AC cools the car efficiently and it makes no sound when you turn it on and even as it rolls down the streets and highways. It would also be great to note that the information system in the car is also well thought off because it shows information like energy usage, battery life, as well as distance left so that you can plan your trips more accurately. Cars aren’t usually produced in several automobiles classes but the Nissan Skyline is an exception to this. This car has always been available in sedan, coupe, and even a crossover. Impressively enough, in all types that this car is created in, it has been able to maintain a very likable exterior design and interior design and this can be seen with how the market responds to their release of these Nissan Skyline cars. The latest models of these cars are available in a hybrid version and that is always a bonus because, although they cost more initially, they will save you money on gas in the long run because it consumes less while letting you travel more. Another great model to check out when looking for crossover SUVs is the Nissan Juke. You might also know this model as the Infiniti ESQ, which is Nissan’s Infiniti line luxury version of this car. It started production in 2011 and has been in production since end expect for North America because the production of this vehicle in that area was stopped in the year 2017. Its body style is a 5-door SUV/hatchback and it comes in different versions which make use of engines like the 1.5 L HR15DE I4 and the 3.8 L VR38DETT Twin-Turbo V6 that is used for the Juke-R. Among all the things you can notice about the Nissan Juke, what definitely catches people’s eyes are the lights of this beautiful SUV. There are no lights like it and that is why it is so distinguishable, especially during the night. The model called the Nissan Juke ACENTA would be the model you would want to look at if you are interested in the details about this car that has already been mentioned. The ACENTA model has a fuel consumption of 50.4 mpg and comes in 6-speed manual transmission too if that is something that you want for your car. With all the great models of Nissan, it is something easy to miss a gem like the Nissan Serena, which has been in production since the year 1991. 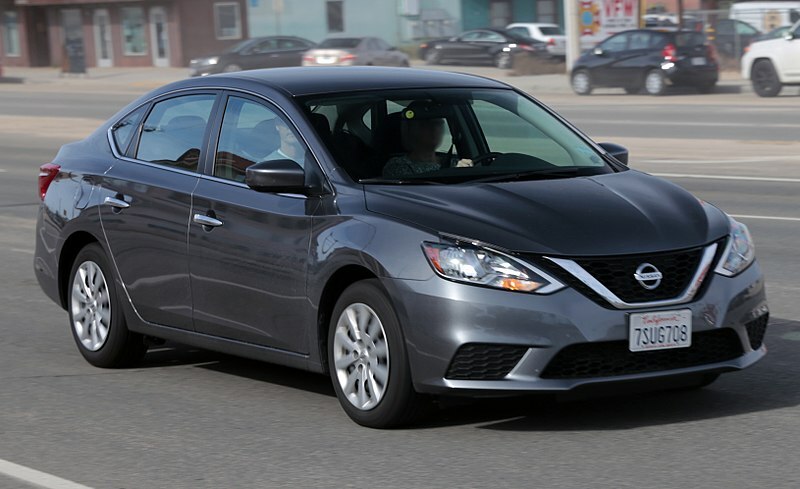 Cars that have been in production for that long shows how well Nissan has made adjustments on this model to keep the market wanting more of it. It is a 5-door minivan that is perfect if you are looking for a family car and it comes in 4WD which is a pretty important feature to have if you plan to go on long travels to place with different terrains. This car is currently in this 5th generation and, naturally, it is also the version that is the most updated in terms of technology installed. To mention some of the cool feats in this car, there is the “pro pilot” that can follow curves and also controls the distance between you and the car ahead of you. Basically, it has an AI assist that makes it even safer to drive. It also comes in a hybrid version nowadays so it isn’t merely family friendly but also cost-efficient and fuel efficient. These are only some of Nissan’s great models and designs but it was able to show what Nissan had to offer and had been offering the automobile industry. They are doing some great work over in their company especially with going green and developing their electric car technology to enhance the capabilities of their hybrids as well as their purely electric models. Everybody wants the world to live forever and by supporting their green tech, you give care to mother earth because of Nissan’s emission-free tech that can save the world one day.